Frustrated by an inability to invest in unicorns? Try another strategy. VCs and other investors lose money funding vendors of meal kits, car rides, music, data storage, and even household necessities. Here’s how to live well off Silicon Valley’s obsession with the future. 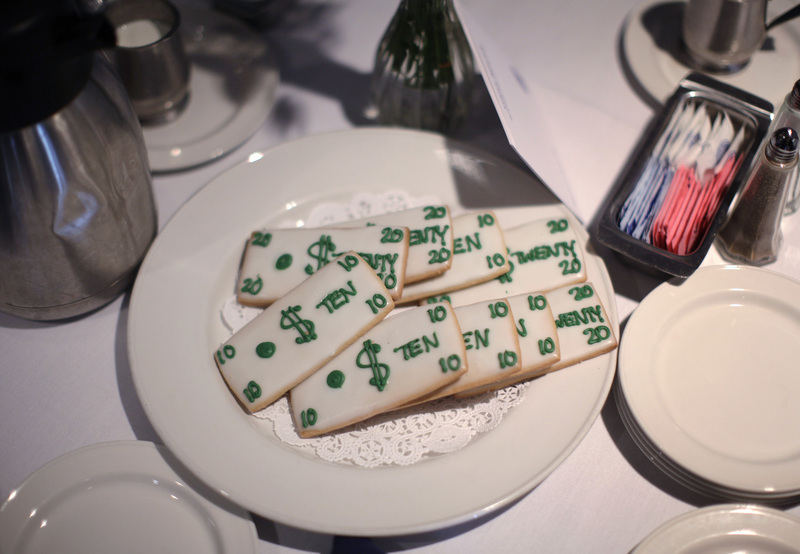 A plate of cookies with dollar symbols are seen at the National Press Club luncheon on the economic outlook attended by Chairman of the Federal Reserve Ben Bernanke in Washington, February 3, 2011. Amazon has begun selling meal kits in the Seattle area, the technology web site GeekWire reported on July 17. The company on July 6 applied with the U.S. Patent and Trademark Office for a trademark for prepared food kits. Shares in rival Blue Apron, which fell more than 10 percent on July 17, rebounded more than 4 percent on July 19 to $6.66 in afternoon trading. That is below the $10 price at which the meal-kit delivery service made its stock-market debut on June 29. The company had initially indicated a price range of $15 to $17. The company reported revenue of $245 million for the first three months of 2017, an increase of 42 percent from the same period a year earlier. Blue Apron lost $52 million in the period. The company lost $55 million in all of 2016.